The 1983 Lamont poetry selection of the Academy of American Poets. Sharon Olds was born in 1942, in San Francisco, and educated at Stanford University and Columbia University. Her first book of poems, Satan Says (1980), received the inaugural San Francisco Poetry Center Award. 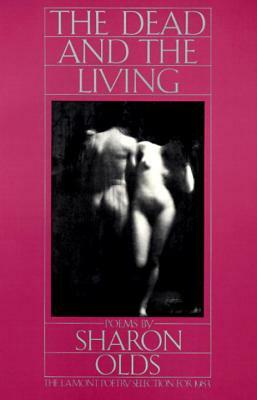 Her second, The Dead and the Living, was both the Lamont Poetry Selection for 1983 and winner of the National Book Critics Circle Award. She teaches poetry workshops in the Graduate Creative Writing Program at New York University and in the N.Y.U. workshop program at Goldwater Hospital on Roosevelt Island in New York. More recently she was awarded the Walt Whitman Citation for Merit by the New York State Writers Institute of the State University of New York. The citation officially invested her with the title of New York State Poet for 1998-2000.